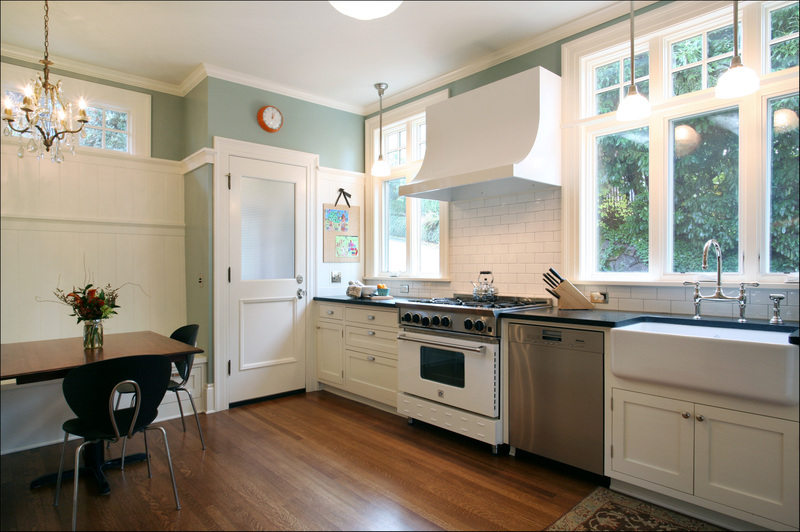 One of the most important decisions you make when planning a kitchen that will really work for your family is which appliances to select. But how to choose? We polled our design team to find out which appliances they’ve been recommending recently. Why? 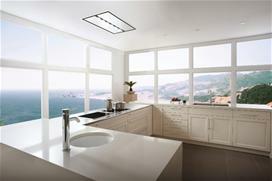 They integrate beautifully and have models that fit fabulously in small spaces. Why? They are great performers and have color options that allow them to integrate well. Why? They are also great performers and are beautifully designed. Why? This hood is one of my favorites because it comes in different colors and has such a classic shape. Why? 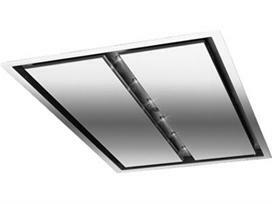 These are ideal for 7’ – 9’ ceilings and can be up to 72” above a range. Great to use in spaces where you want clear sight lines. 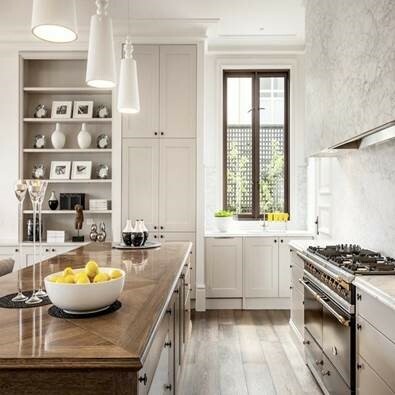 For example, they are a perfect choice for an island or peninsula that contains the cooking appliance and is open to an adjacent dining room or living room, or where the island extends into a seating area. Why? Because moisture, heat and air are the best combination! Moisture, heat and airflow work together to create tasty results while preserving foods’ natural nutrition. You can select a cooking mode that’s ideal for your dish and the oven’s unique digital technology senses the amount and size of the food and automatically adjusts all the details of cooking. Why? 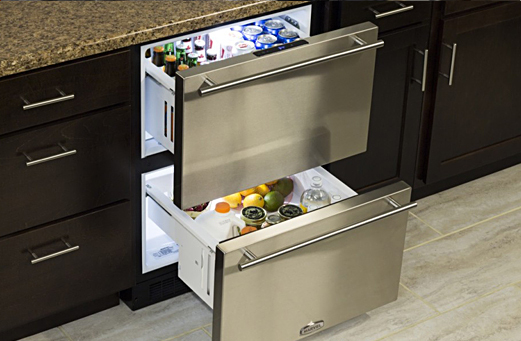 Adding additional refrigeration under the counter is a great space saver and often a must-have for families. Why? 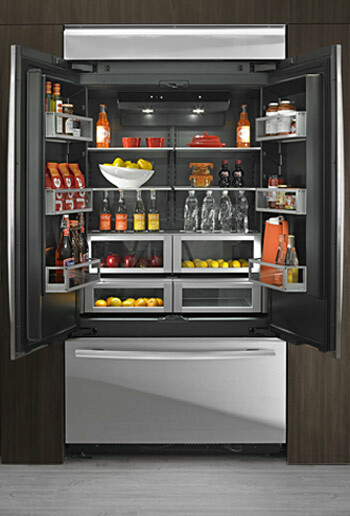 This fridge is exciting because there are now more options on the market that have dual compressors and LED lighting. And that black interior is pretty cool! Why? I love induction! It’s clean, responsive and energy efficient. 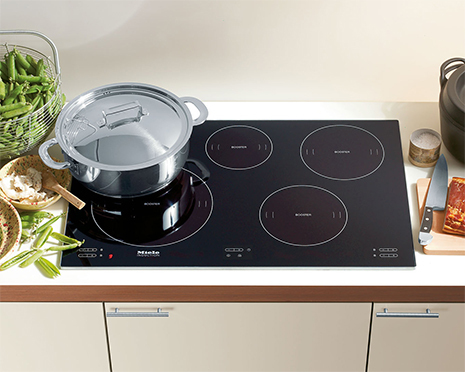 Miele cooktops offer a distinctive non-contact method of heating using magnetic fields to transfer energy directly to cookware. They offer the benefits of a gas flame without introducing excess heat into the working environment. 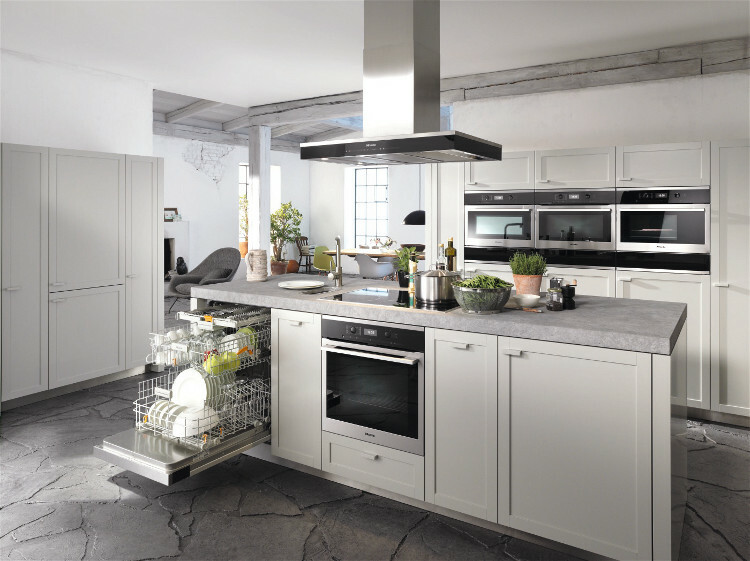 Their new induction range is also exciting and great for small kitchens. Why? Not only does it let you cook like a pro, it’s available in 750 colors! Why? Hands down the best dishwashers out there! They are quiet, reliable, innovative and pretty. Rumor has it that they are working on their line up and soon their higher model features will be integrated in the lower classic and crystal models. Why? 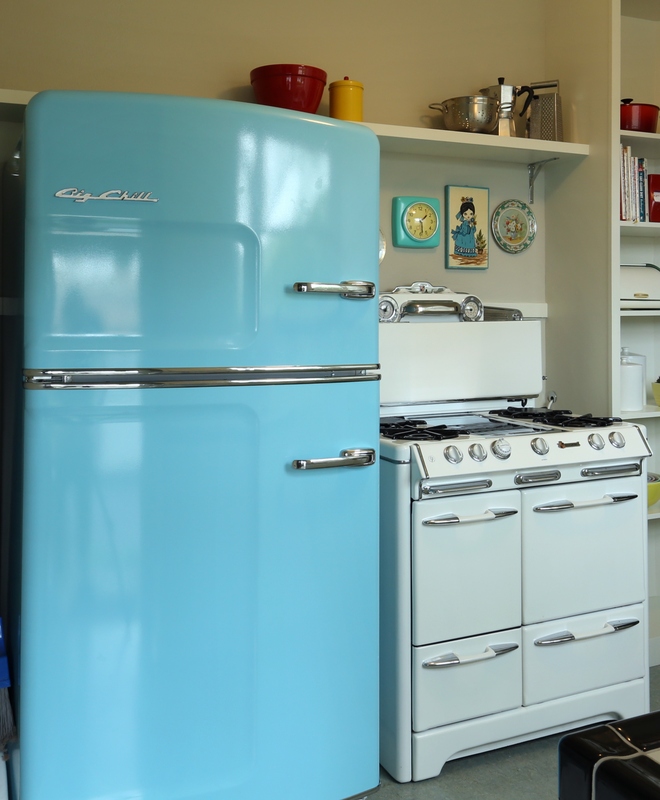 Big Chill appliances (fridges, stoves, ovens, hoods, microwaves) combine modern day amenities with a vintage aesthetic that can play up the retro feel of a space. They are fun as they do not need additional work to look good in a kitchen! Why? It has settings for a speedy dry (14 minutes), gentlest dry and steam dry to get rid of wrinkles so you don’t have to iron! Why? 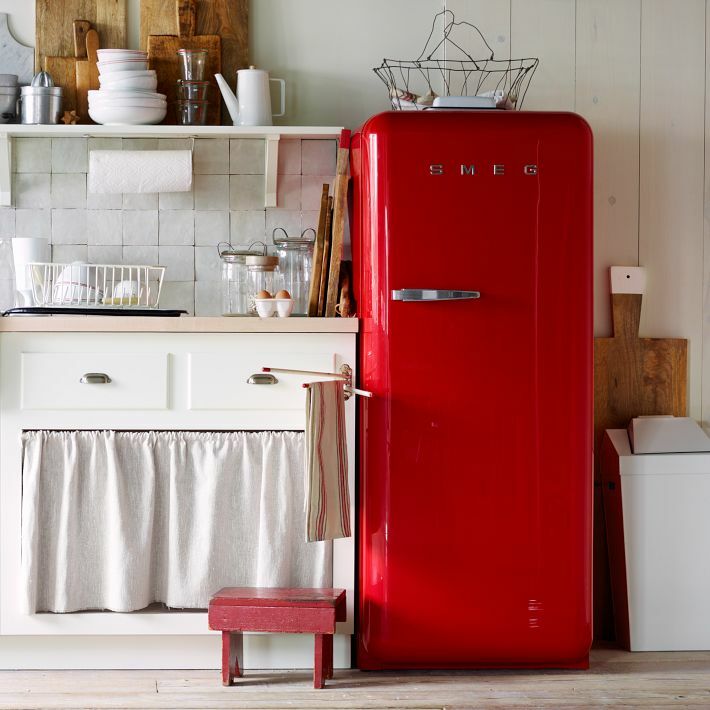 These are great for those who do not want a full-sized fridge. Why? A smaller, but still awesome, option. Why? 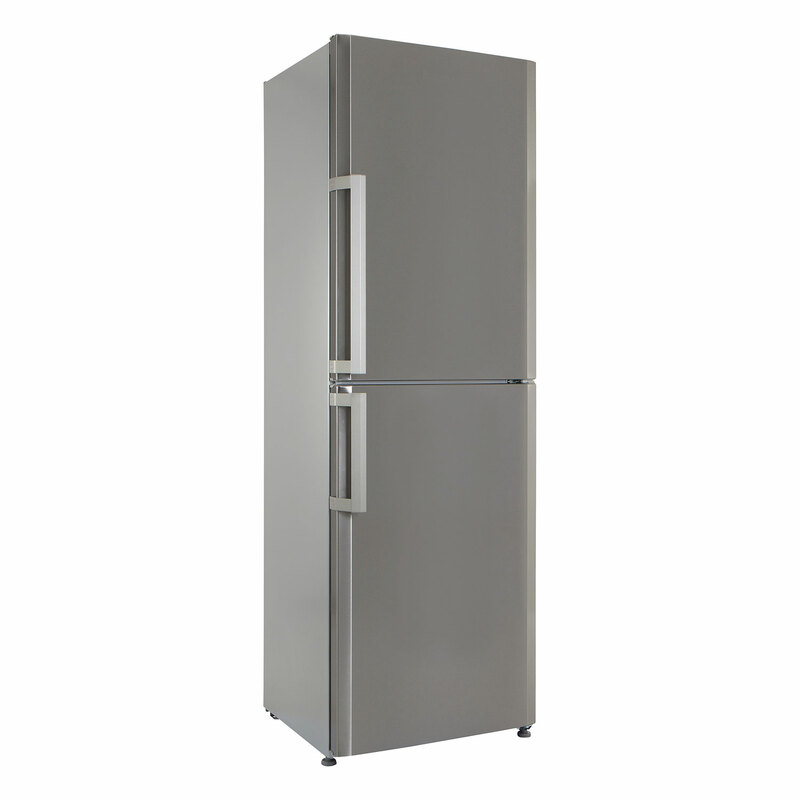 I love their tall, skinny refrigerators. 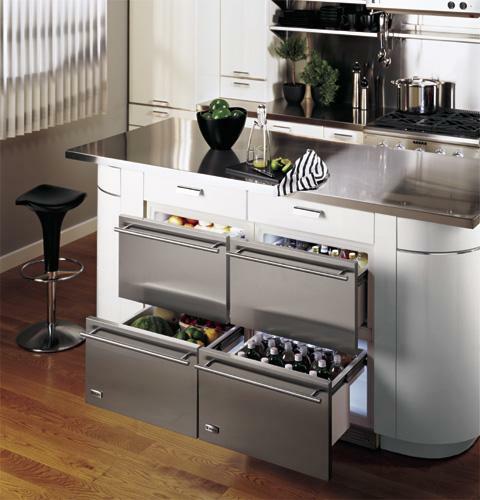 They take up less floor space but give you lots of storage with height. These last for years and are a bargain compared to other brands. The freezer on the bottom puts most foods at eye level. And of course, who wouldn’t want one of these? 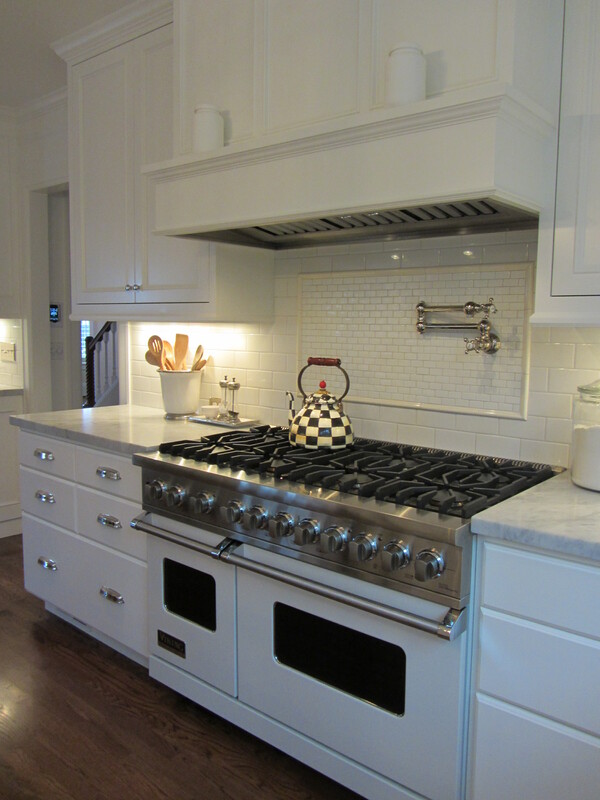 If you love to cook, selecting the perfect oven & stovetop for your kitchen can be the most important decision you make. Recently Arciform client Linda Schmidt’s quest for the perfect range took her all the way to Woodinville, Wa. We interviewed her to get a client’s eye view of her experience. 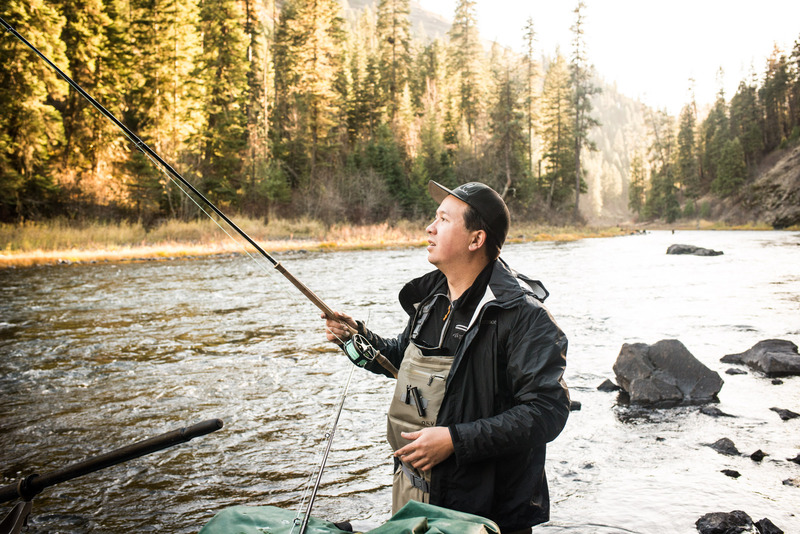 What are your goals for your new range? 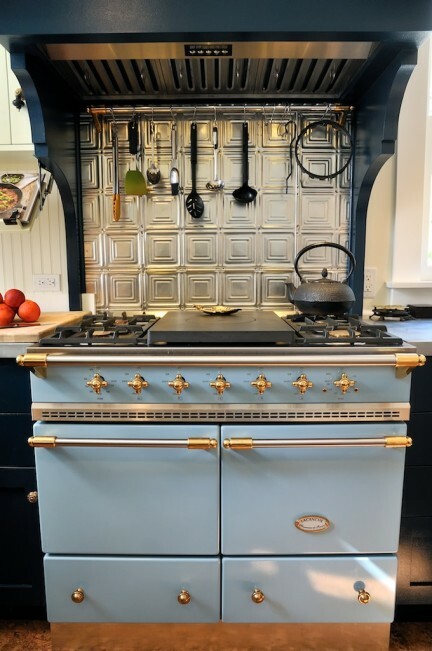 How will it be an improvement over your current stove? Currently we have a glass stove top which was present when we purchased the house. We hate it. It’s impossible to keep clean, and, given that it’s electric, I don’t think it cooks that well. It takes forever to heat up a large pot of water if I am making a big batch of chicken soup. We have a wall oven which works okay, but I find that I am often in need of two ovens as I bake a lot, particularly around the holidays. 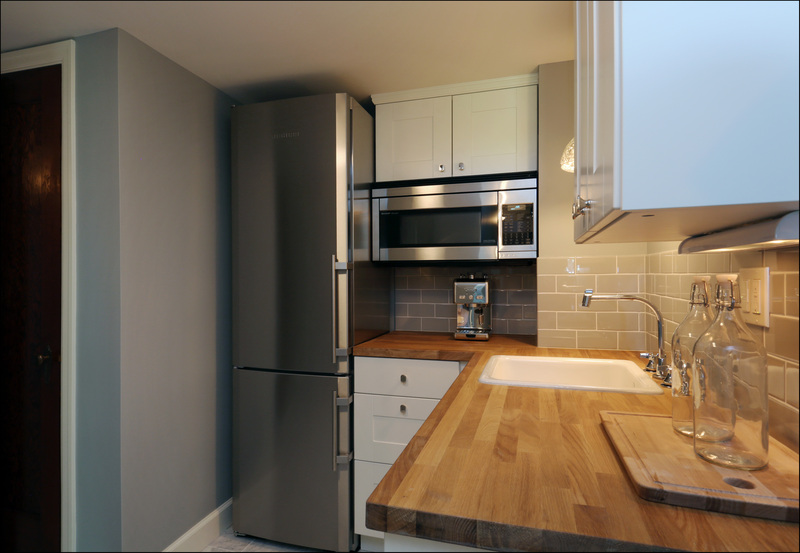 Our new range will replace both the stovetop and wall range, making better use of the limited space in our kitchen. 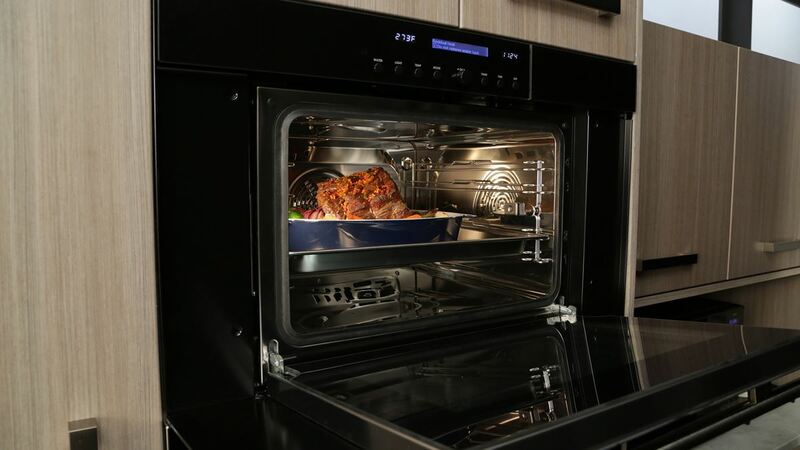 Although the new range won’t be large (approximately 40” wide), it will come with dual electric ovens (each of which can cook a 26 lb turkey!) and 5 gas burners, one of which is 18,000 BTU – this should allow me to heat up a big pot of soup in a jiffy. From an aesthetic standpoint, the new range will be far more attractive than what we currently have. You went to Seattle to check out a range you were excited about. What was it that drew you to that particular model? Woodinville, WA to be exact! 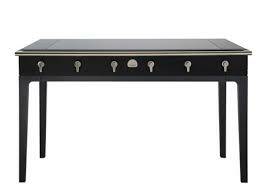 I saw this range featured in one of the design/home décor magazines I receive. I loved the timeless and classic look of it. It’s not trendy. The other important draw was that it comes in 24 different colors! 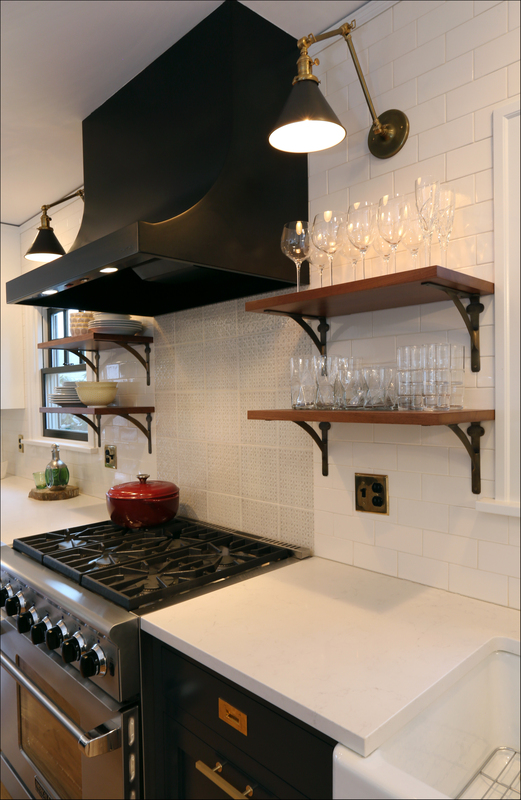 With respect to the particular model that we selected, given that our kitchen space is not large, we were limited to a range less than 44” in width. What I liked best about this model is that it comes with two equal-sized ovens so the overall look is balanced. My eye was immediately drawn to it when I saw it. My husband also liked this model best. What did you learn while you were there? How has it impacted your thinking about which range you’ll select? I learned a lot. I had already done a fair amount of on-line research about the different ranges out there as well as about LaCanche. I even found some internet threads where people write about their experience with a LaCanche range. Going to the showroom allowed me to see, up close, the different models, learn more about their features, the accessories that come with the range, optional accessories such as griddles and grill plates, and other important things about the ordering process, warranty, service and parts. I also learned that LaCanche ranges are entirely mechanical – no computer chips or anything like that – so if something goes wrong, it is likely because a part has worn out. Learning about the different oven options led me to select the particular model I did. 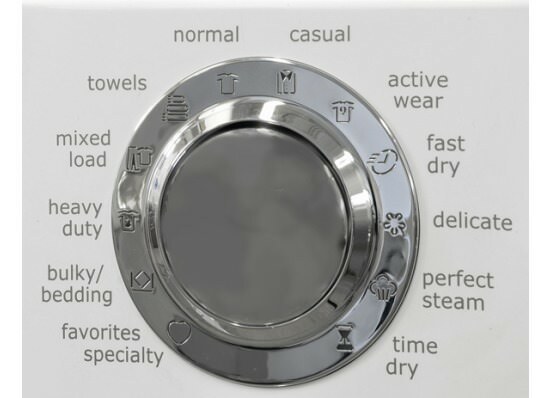 Prior to visiting the showroom, I wasn’t sure which model to select because it wasn’t entirely clear to me from reading through their brochure which oven arrangement would best suit our needs. What challenges did you identify with the model you checked out? Lead and shipping time! Each range is built to order in France. Because the demand for this brand has increased significantly over the last year, we were told that there is at least a 10 week lead time after our order is placed. Add an additional 4 -10 weeks for delivery, depending on whether you select air or sea freight, and you are looking at 5 months before the range arrives if you select with the most cost effective shipping option. What’s your next step? Does the search continue? My next step is to decide on a color (I’ve narrowed it down to two) and then order. I’ve done enough research on-line and by visiting other showrooms to know that no other brand appeals to me as much in terms of appearance, functionality, and cost. This range is surprisingly well-priced. It’s less expensive than some American brands and is definitely better priced than LaCornue. 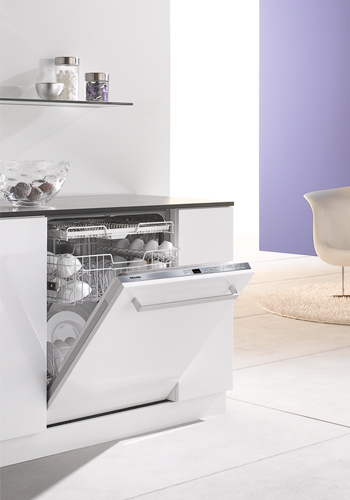 What advice do you have for others getting started on the appliance selection process? Do your research. I did a lot of research on-line. 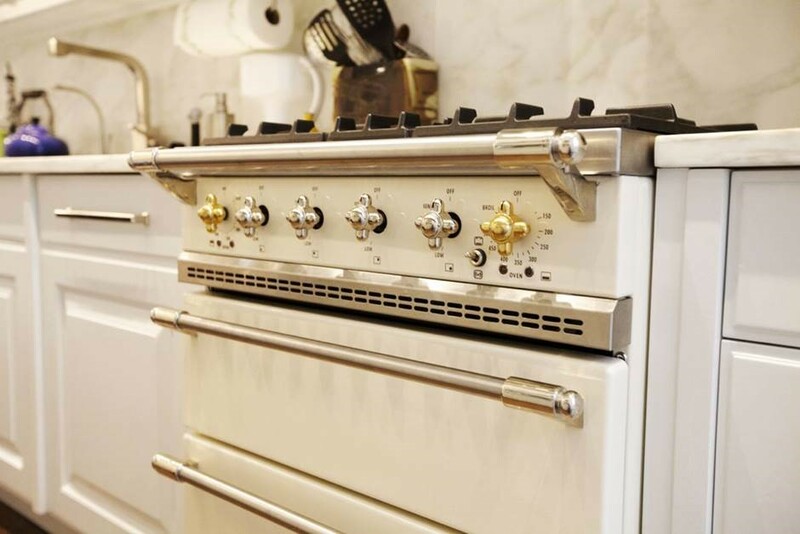 From there, I identified several brands which appealed to me aesthetically and came in colors I was considering as I knew that I did not want stainless steel. It then came down to whether the brand/model offered a double oven. From there, price and value were the ultimate determining factors. Definitely visit a showroom of the range(s) you are considering. We learned a lot from spending just over an hour at the LaCanche showroom. Visiting the showroom also made me feel much more confident in this purchase. 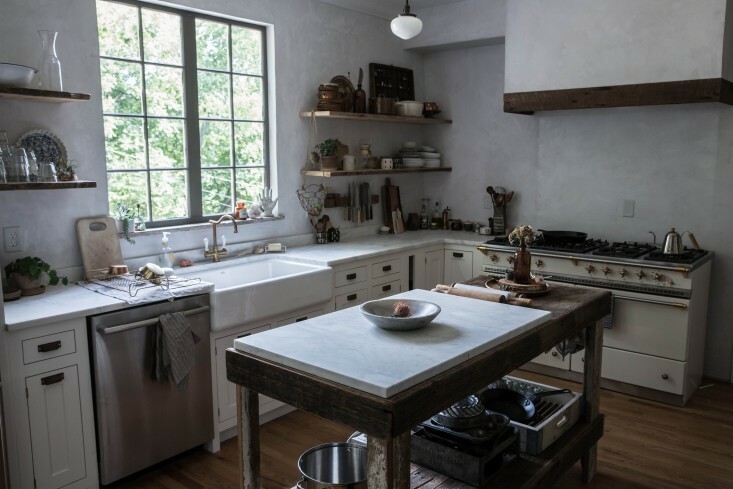 Exploring a possible kitchen renovation? Join us May 18th, 2015 for an inspirational design workshop. Get the details and RSVP here.